Performed as part of this year’s Festival of Chichester, the Chichester Singers and Southern Pro Musica, under the direction of Jonathan Willcocks, came together for a programme comprising works by Brahms and Elgar, their composition spanning about 50 years. The programme opened with Brahms’ Op.80 Academic Festival Overture, written as a result of the composer being bestowed with an Honorary Doctorate in Music from the University of Breslau. This is one of Brahms’ most boisterous works, (in marked contrast to the companion Tragic Overture, which will be performed by the Chichester Symphony Orchestra on 16th July) the work being peppered with various well-known student drinking songs! The forces of the Southern Pro Musica under Jonathan Willcocks gave a performance that was full of character and vigour, and the overture ended with an unexpected but hearty rendition of Gaudeamus Igitur from the Chichester Singers towards the end of the piece. In complete contrast to the opening overture, Brahms’ Nänie (or Song of Lamentation), Op.82, was composed in the same year as the preceding work in memory of Brahms’ friend, the painter Anselm Feuerbach, who had died in 1880. This was a piece unknown to me; a work of pure beauty which sets a poem by Schiller for chorus and orchestra. It explores a rich harmonic palate which has reminiscences of the 2nd Symphony, Violin Concerto and Requiem. Willcocks’s forces performed with commitment and sensitivity throughout. To finish the first half of the programme, contralto soloist Diana Moore sang Brahms’ Alto Rhapsody, Op.53. Set to words from Goethe’s Herzeise im Winter, this piece was written as a wedding present for Robert and Clara Schumann’s daughter Julie. Diana Moore gave a sensitive performance and displayed a richness of tone throughout, although she was occasionally a little swamped in her lower register by the forces of the male section of the choir and Southern Pro Musica. However, this was an expressive interpretation by all involved. 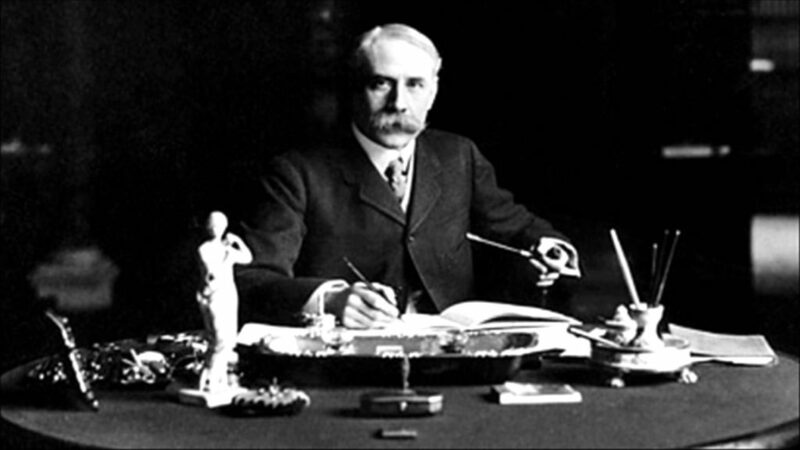 Began in 1903, Elgar’s The Music Makers, Op.69 was first performed in 1912 as part of the Birmingham Festival. With other major choral works under the composer’s belt, Elgar was at the height of his compositional powers. Quoting some of his previous works throughout the piece, (including the Enigma Variations, The Dream of Gerontius, the Violin Concerto and 1st Symphony) The Music Makers has come under criticism in the past for quoting extensively from these pieces. However, this has been a technique used by previous and contemporary composers (J.S. Bach, Handel and Richard Strauss to name a few) and, for me, these quote certainly do not detract from this fine work overall. Set for contralto soloist, choir and large orchestra, this was a fine performance from the outset, with beautiful playing from the viola section at the beginning. Although the balance between choir and orchestra favoured the latter on occasion, their singing was both expressive and secure, with a magical closing section. Diana Moore had the perfect voice for Elgar, with a richness of tone throughout.